Whether your workflow challenges are simple or complex, Biosero can develop a robust automation solution for you. By using Green Button Go Laboratory Automation Scheduling Software as a foundation, our Workcells are flexible and customizable. Our hardware agnostic approach ensures our Workcells incorporate the best devices to meet your need and work the way you do. For routine workflows, Biosero has a variety of Workcells to automate common laboratory bottlenecks. 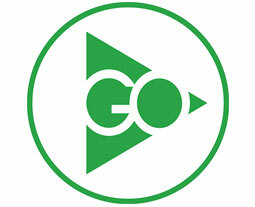 Green Button Go Laboratory TM (GBG) Automation Scheduling Software is for integrating laboratory workflows. GBG is designed to be simple and intuitive to use and serves as the foundation for our standard and custom Workcells. It features superior usability, error recovery, and has a wide portfolio of peripheral device drivers to accommodate a wide range of instrumentation. Visit our driver library for a list of device compatibility. The Biosero integrations team can help design a new workcell for you or refurbish an existing workcell with updated equipment for greater efficiency and better sample and data management. Our experience extends to systems engineering, software development and project management. Programmed with Green Button Go software and designed to be easy and intuitive for users, the simplified drag and drop user interface is the portal to more advanced scheduling and operating features. Biosero is Your Automation Software Solution Partner, Enabling Better Decisions Through Data and Advanced Analytics.